George Harrison Shull was a plant geneticist and the father of hybrid corn. Shull played an important role in the development of hybrid corn which had great impact upon global agriculture. He was interested in pure breeds not for their economic value but for his experiments in genetics. He produced corn breeds that bred true and then crossed these strains. The hybrid offspring of the sickly pure breeds were vigorous and predictable. In short, an ideal economic maize resulted from a project motivated purely to advance science For his work on maize, Shull was awarded the Public Welfare Medal from the National Academy of Sciences in 1948. John Deere was an inventor, blacksmith, and manufacturer. The plow is cited as one of the most important inventions in the advancement of agriculture. Though Deere did not invent the original plow, he developed and improved upon it by creating one from steel in 1837. The steel plow that Deere developed worked superior in American Midwest soils compared to the cast-iron plow. His plow unlocked the vast fertility of the Midwest soils which ultimately unleashed the incredible yield potential and food production ability of the American Midwest. Further, Deere smartly positioned his newborn company in Moline, Illinois, to be closer to the Mississippi River to better transport his products to farmers. John Deere built high quality products, and his company’s namesake maintains that reputation as a high quality agricultural and construction equipment manufacturer to this day. George Washington Carver was a scientist, botanist, inventor, and educator. Carver’s reputation is based on his research and promotion of alternative crops to cotton, such as peanuts, soybeans and sweet potatoes, which also aided nutrition for farm families. He wanted poor farmers to grow alternative crops both as a source of their own food and as a source of other products to improve their quality of life. He also developed and promoted about 100 products made from peanuts that were useful for the house and farm, including cosmetics, dyes, and paint. He received numerous honours for his work, including the Spingarn Medal of the NAACP. 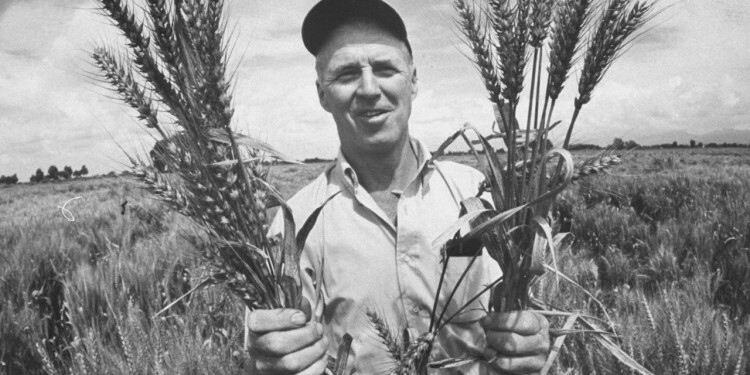 Norman Borlaug was a biologist, humanitarian, and Nobel Laureate. Borlaug received his B.Sc. in Biology in 1937 and Ph.D. in plant pathology and genetics in 1942. He took up an agricultural research position in Mexico, where he developed semi-dwarf, high-yield, disease-resistant wheat varieties. 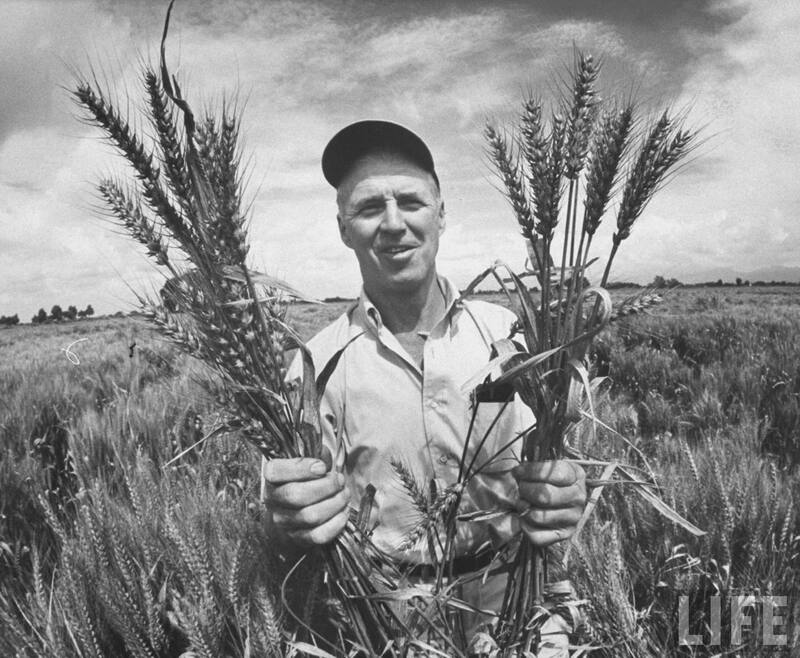 During the mid-20th century, Borlaug led the introduction of these high-yielding varieties combined with modern agricultural production techniques to Mexico, Pakistan, and India. As a result, Mexico became a net exporter of wheat by 1963. Between 1965 and 1970, wheat yields nearly doubled in Pakistan and India, greatly improving food security in those nations. These collective increases in yield have been labeled “the Green Revolution.” Borlaug is often credited with saving over a billion people worldwide from starvation, and was awarded the Nobel Peace Prize in 1970 for his contributions to world peace through increasing food supply. Fritz Haber was a chemist and Nobel Laureate. Although co-developed with Carl Bosch, the process of ammonia synthesis bears Haber’s name and is known the world over as the Haber Process. In 1908 Haber developed the technique still used today to take the vast amount of nitrogen available in the atmosphere and convert it into nitrogen that plants can use. In 1918 Haber won the Nobel Prize for this discovery. Although nitrogen fertilizer had been previously available, this major leap forward allowed for the relatively inexpensive production of nitrogen fertilizer which ultimately led to its widespread availability. Today, people the world over rely on the Haber process to produce nitrogen fertilizer which helps raise food. Without the Haber Process, we would not be able to feed our global population–Haber’s discovery has helped feed countless billions of humans.